After 74 years at our Nob Hill location on Amherst Drive, SMPC Architects relocated to the 8th floor of the historic First National Bank Building (Banque Lofts) at 219 Central Avenue NW, Suite 800. Monday, February 26, 2018 marks a milestone in our firm’s history. The newly renovated space aligns with the culture and creative process of the firm – inclusive, open and accommodating. 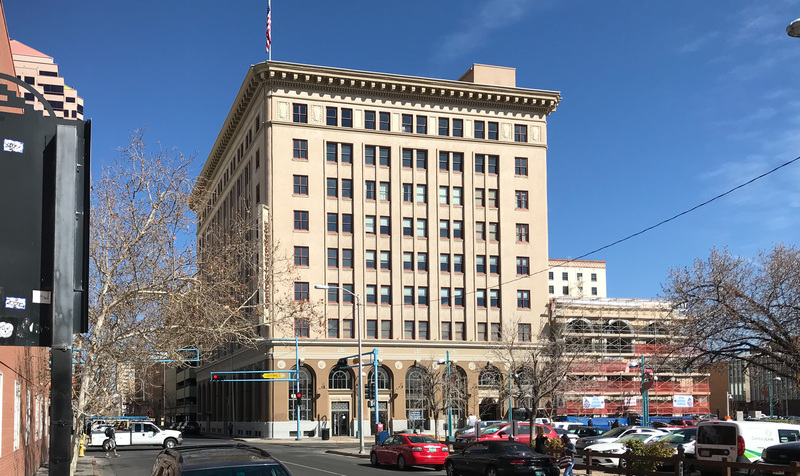 We are thrilled to be part of the dynamic energy of downtown Albuquerque and are eager to welcome clients, colleagues and friends to our new workspace.